Today, Jared and Alex go behind the podium with Robb Wolf, a coach, research biochemist, best-selling author, thought leader, health consultant, powerlifter, gymnast, martial artist, podcaster, business owner, father, husband, and aspiring coconut farmer. Robb is one the original trailblazers of the Paleo/ancestral health movement and the sole individual that birthed its prominence within the CrossFit space. He not only was a part of the team that started the 1st CrossFit affiliate gym but, subsequently, he and his wife went on to open the 4th CrossFit affiliate now known as NorCal Strength and Conditioning. Robb is the best-selling author of The Paleo Solution, and the newly published Wired to Eat. How research requires observation – why are we afraid to test things out? 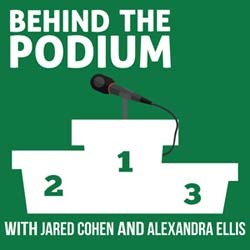 For references to everything mentioned in this episode, head over to www.behindthepodiumpodcast.com.